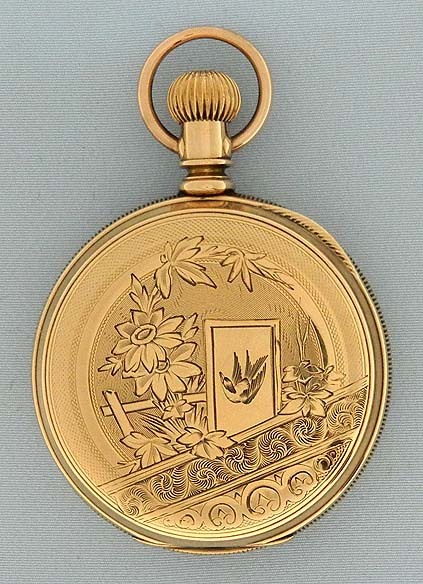 Fine Howard L Size 14K gold antique pocket watch circa 1894. 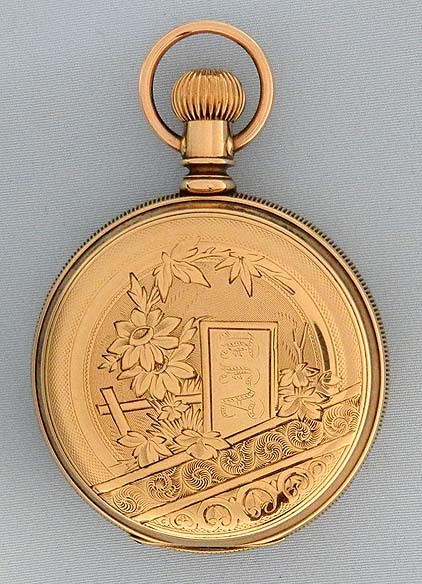 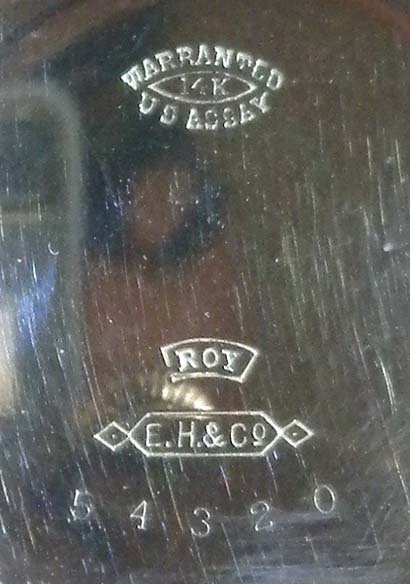 Engraved EH&Co case with very light wear to the edge engine turning. 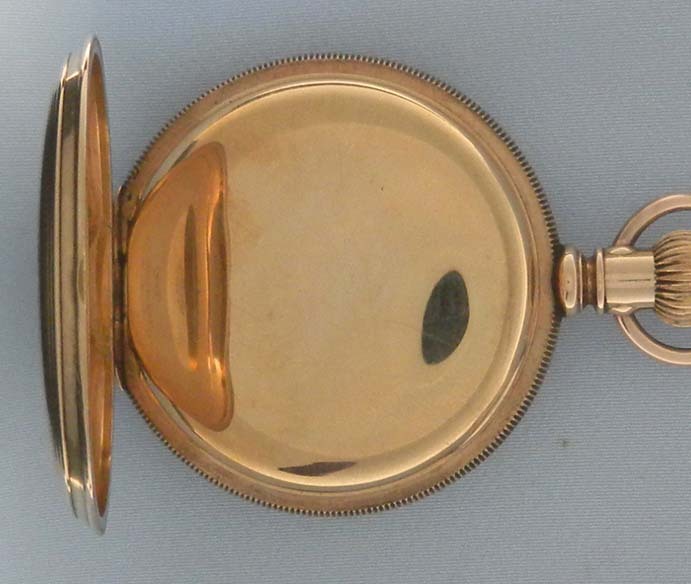 Gold and glazed dust covers. 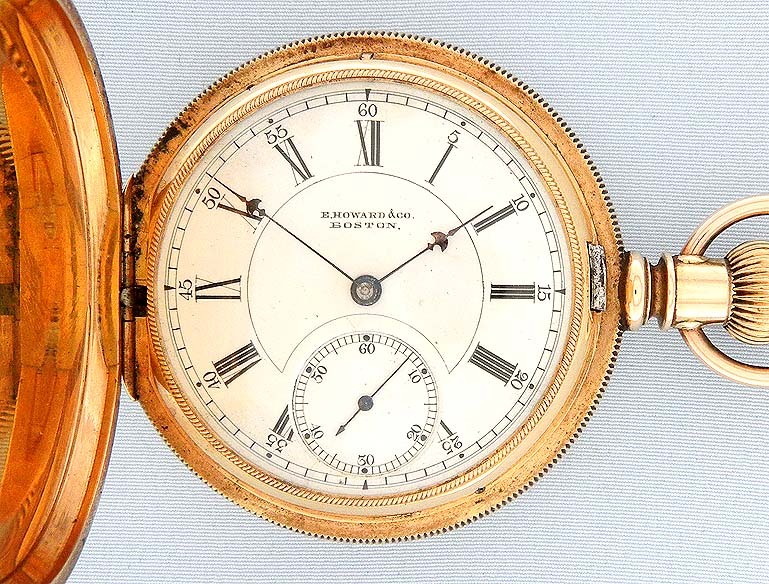 White enamel dial (a few clean hairlines) with black markings and blued steel Howard umbrella hands. 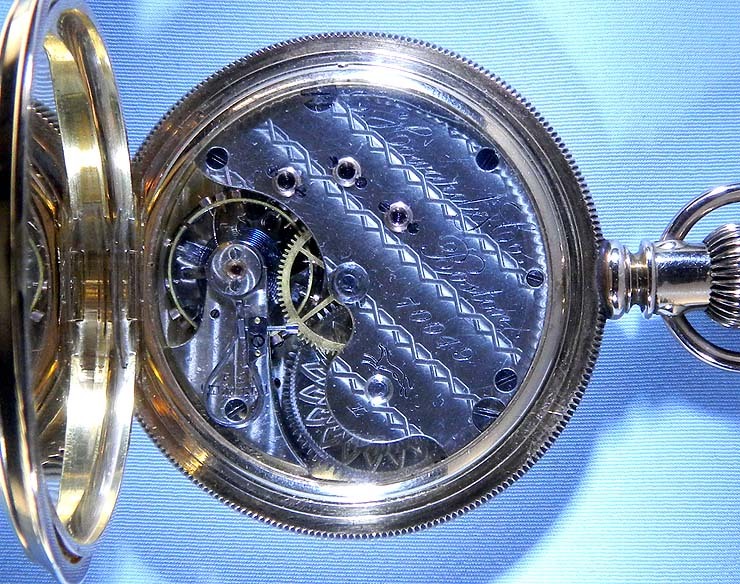 Fine nickel 15 jewel movement.